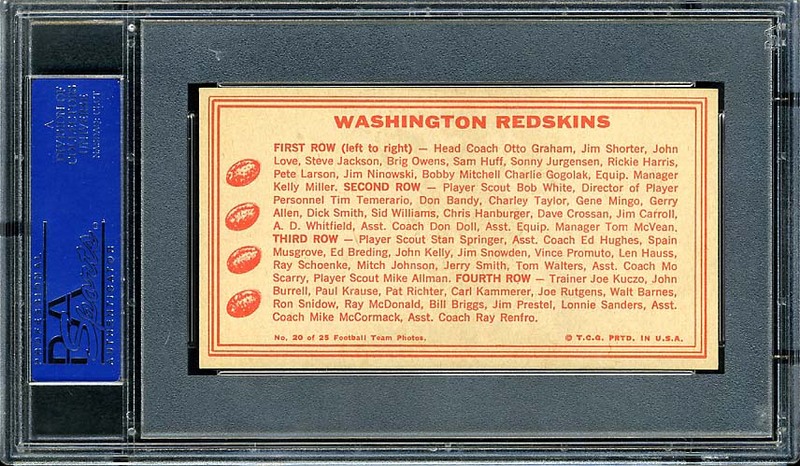 In 1968 Topps released two test issues. One issue was a team card for every team in the league and the other release was a cloth patch for every team in the league. 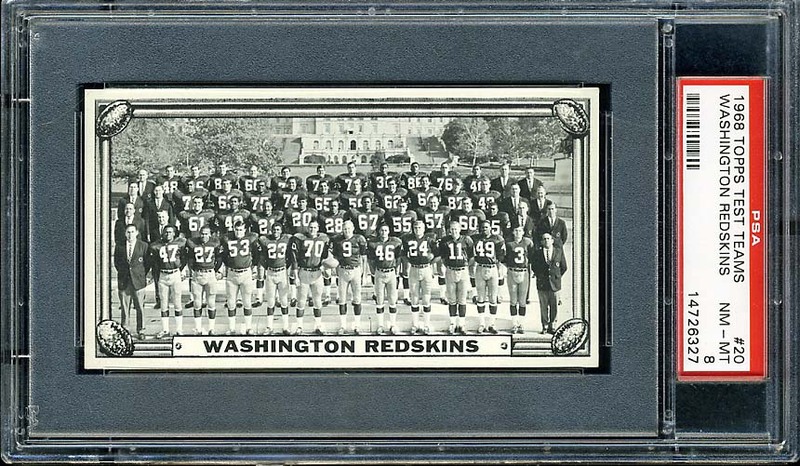 Both Redskins items are shown below. I like these items because it is almost like a secret that they were even released. 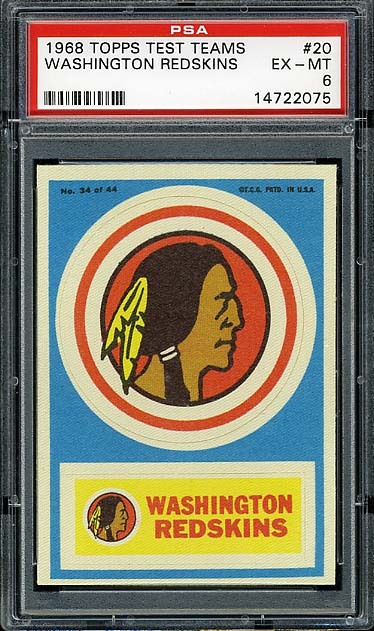 I do not know why Topps did not move ahead with more items like this.